Barnet is situated within touching distance of the M25. Travelling on this road is known to be daunting, even for the most experienced of drivers. Thankfully, however, this hasn’t deterred the people of Barnet from wanting to get their licences. This is where we come in: PassMeFast is here to help as many people get on the road as possible. Read on to find out how you could get your licence in a matter of weeks with one of our intensive courses. You might have heard certain things about intensive driving courses in the past—that you have to take all the driving lessons in a 5 day period, for instance, or that you have to pay lots of extra money for a ‘guaranteed pass’ that is, in reality, nothing of the sort. At PassMeFast, however, we do things a little bit differently. For instance, rather than force learners to take all their lessons at set times and at a set place, we allow them the flexibility to arrange the course around their busy schedules. So, if you need to concentrate your lessons on evenings and weekends, for example, our instructors will be happy to oblige. Equally, whether you need to be picked up from work or from home, it won’t be a problem for one of our ADIs. Interested in automatic driving lessons in Barnet? Cars with manual transmissions have always been more popular than cars with automatic transmissions on British roads. However, automatic cars are gaining traction in the UK marketplace and becoming more and more popular by the day. The prospect of learning to drive without having to grapple with difficult clutch control is an appealing one for many learners. Plus, automatic gearboxes are becoming more and more efficient. These are just two of the reasons behind the rising popularity of automatic cars in the UK. However, you do need to be aware that if you take your test in an automatic car, you will be limited to driving automatics from then on—unless you choose to retake your test. Don’t let this put you off though—learning in an automatic is still the best option for many learners. Thankfully, all of our courses are available in both manual and automatic cars. Head over to our automatic booking page now if this feels like the right route to take. The best thing about booking with us though is that you’ll be able to take your test weeks ahead of the standard DVSA waiting times! That’s right—all you have to do is give us a call, and we’ll book a fast-track test for you, plus sort out all the difficult admin involved. We can even book your theory test for you at the same time. Basically, we go the extra mile ahead of other driving schools! 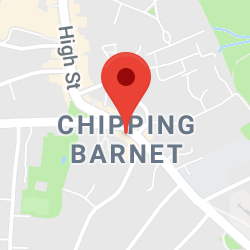 While most learners in the area take their tests at Barnet test centre, there are also two other places nearby where you can get your pink licence. 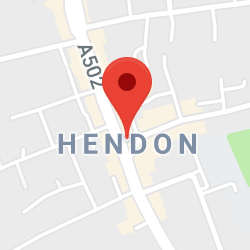 Hendon test centre is the first of these, and is located around 20 minutes away from Barnet. The second is Mill Hill, situated just 5 minutes from Hendon. You might want to consider booking your test at one of these centres if you live towards the south end of Barnet. It’s important that you learn the roads around each of these test centres before booking your test, so it’s best to discuss your options with your instructor. Don’t forget that you’ll need to get your theory test passed before you can book onto your practical test. 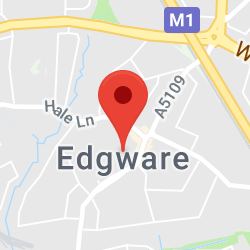 Southgate is the nearest place to Barnet at which you can do this. 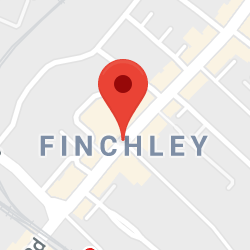 You can reach this theory test centre by taking the bus to Arnos Grove tube station and then hopping on the Piccadilly line to Southgate. 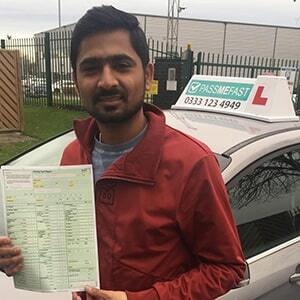 When booking your course with PassMeFast, don’t forget to add on a theory test if you haven’t taken one already. We can arrange it to be at a time that suits your other commitments. You’re sure to gain plenty of experience driving on the local roads with your instructor, and if you’re local to the area then it’s likely you’ll have some knowledge of the busiest routes in Barnet anyway. It’s likely that you’ll encounter a little bit of everything on the test routes in and around Barnet, from quiet residential roads to busy dual carriageways including the Barnet Bypass. Another road feature you may encounter, and one that many learners find tricky, is the box junction. For advice on how to negotiate these tricky obstacles, take a look at our article on box junction rules. Or, if you’re feeling confident and ready to book, give us a call on 0333 123 4949. Alternatively, just click the button below to get things moving.